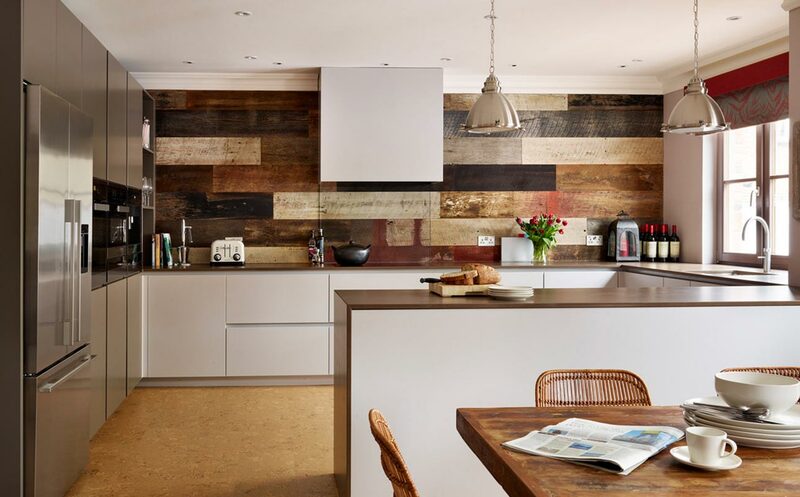 A turnkey refurbishment project in Highgate, London which included all new fixtures, fittings and furniture through to all decorative accessories. A great example of broken plan living. One large space is cleverly designed to create 3 different zones: Full kitchen with island which is positioned to mark out the zone and enable interaction whilst cooking Informal Dining which seats up to 9 in the middle of the space Lounge area with low backed L-shaped sofa to break the space up and provide an area for relaxing, chatting or watching TV area. 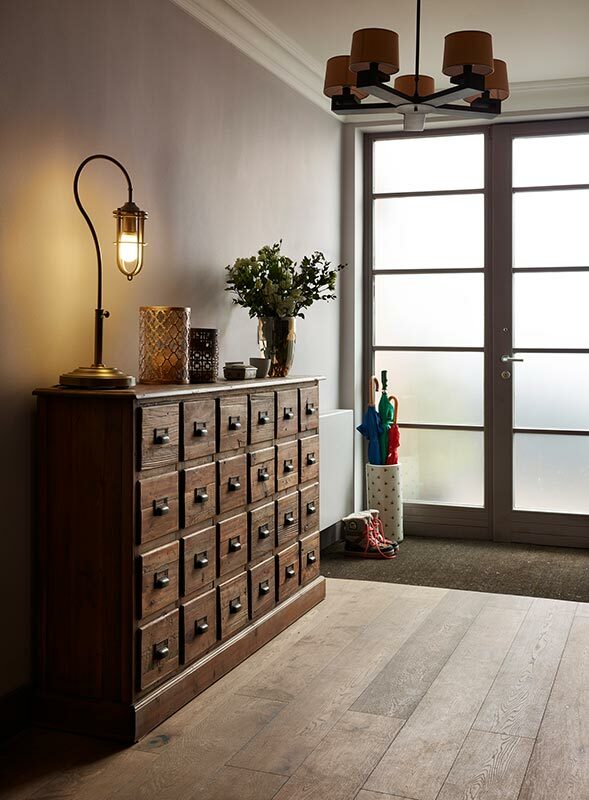 Beautiful leather trunk adds to the vintage / industrial look in the space. A beautiful, formal dining room with vintage inspiration. Glass medical cabinets from a Polish hospital provide a focal point as well as a stunning glass topped round table with anthracite sculptural base. Makes dining much more social being able to see everyone. A lime green Chesterfield sofa that we had made provides a lovely seating area for before and after lunch/dinner drinks, games and relaxing. 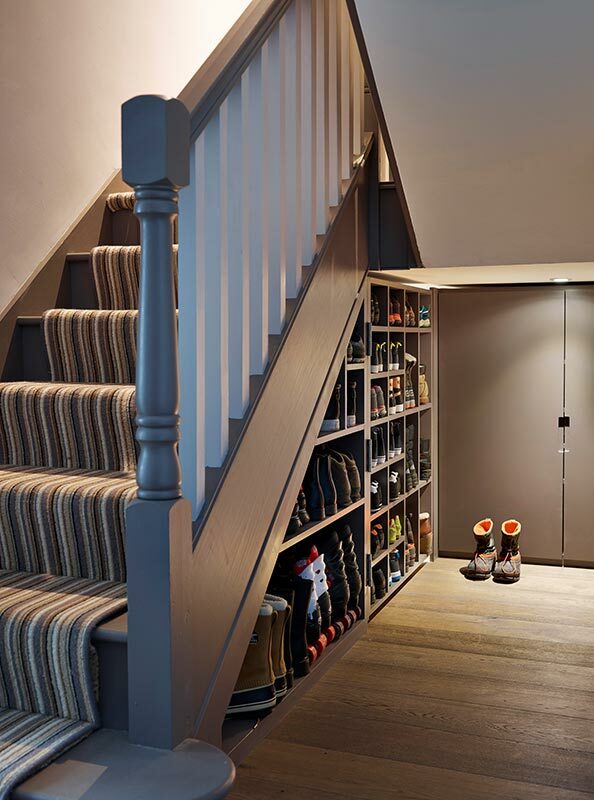 Super smart shoe storage which we designed and hand built into the under staircase space. Deliberately open fronted for quick and easy access. Beautiful, highly practical and industrial themed entrance hall. 24 drawer chest provides a brilliant storage solution for a busy family’s bits and pieces whilst making a real feature. Different mood lighting with an industrial edge and vintage inspired accessories complete the look. 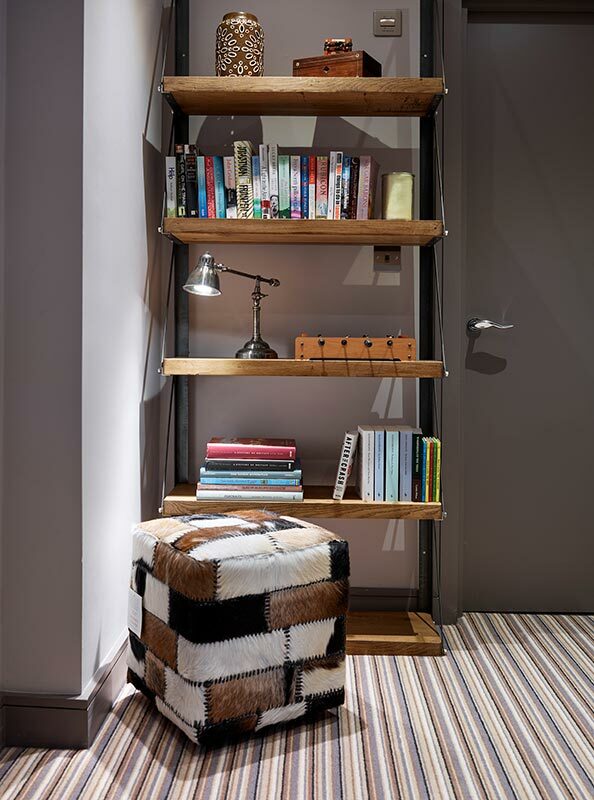 Adding both interest and functionality to this landing with an industrial style bookcase and hide patchwork stool. Lamps provide fantastic mood lighting in the evenings. We commissioned a super sized Emperor Bed in plum suede upholstery as the centre piece of this hotel inspired master suite. The colour scheme was designed around these two armchairs which the client already owned. 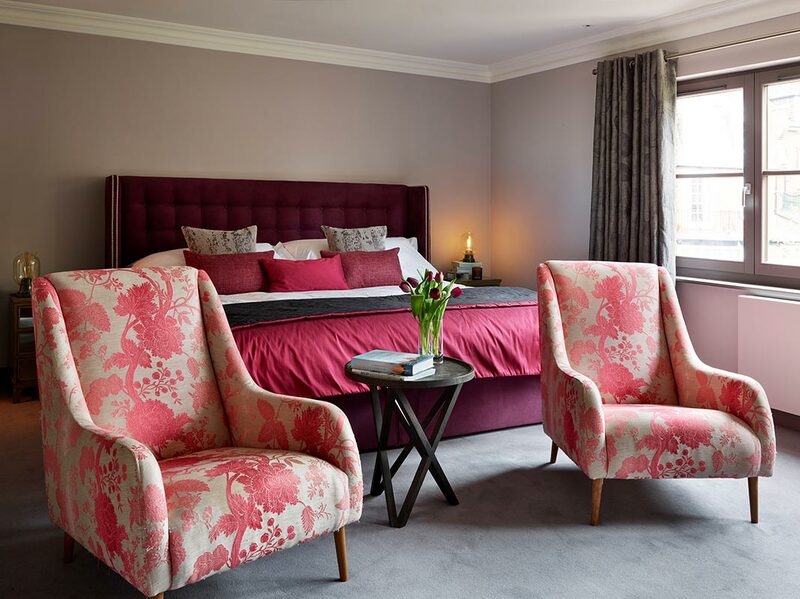 Soft furnishings, lamps and accessories all complement this luxurious bedroom. 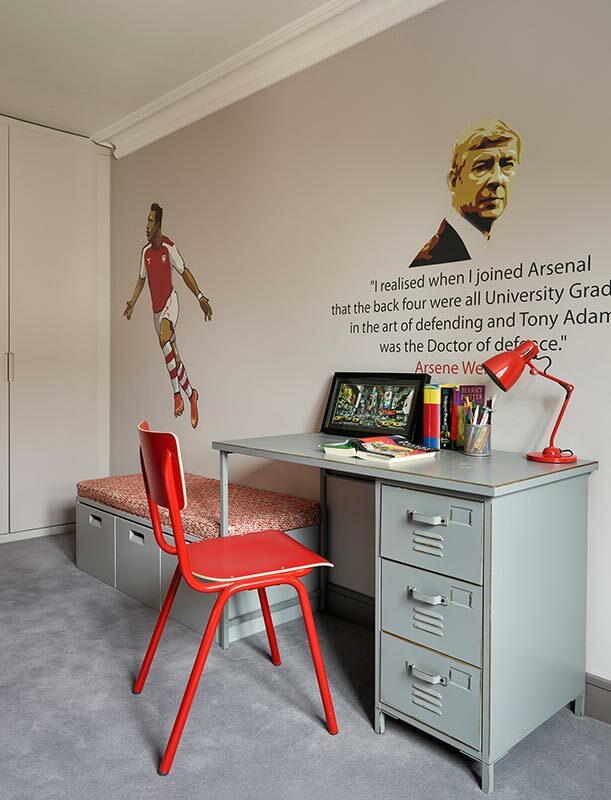 Inspired by Arsenal Football Club, this young boy’s bedroom features fun wall decals of his favourite player and quote. Easily removable at any time should it change! Bespoke cushion on a highly practical bench for toy storage and a vintage/industrial inspired desk which is super robust in metalwork. Use of red items throughout the bedroom including bed linen, lamp, chair and curtains all reinforce Arsenal theme. 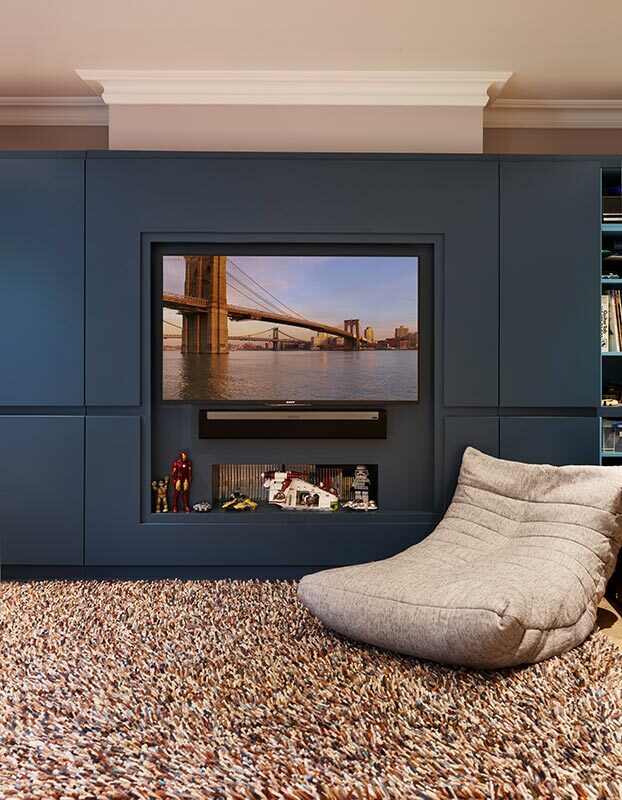 Contemporary games room featuring bespoke cabinetry which we built in to house a TV screen, gaming consoles and Sonos system and provide plenty of storage for toys, games, books and more. 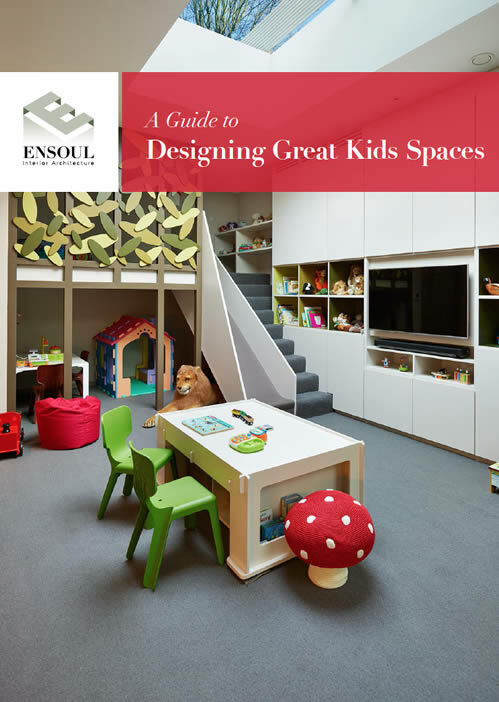 Designed to be suitable for both adults and children. Centrepiece for this end of the games room are vintage Back to the Future trilogy film posters - the family’s favourite movies. Cork floor provides great acoustic properties and warmth. Table football and a table tennis table (out of shot) provide the entertainment. 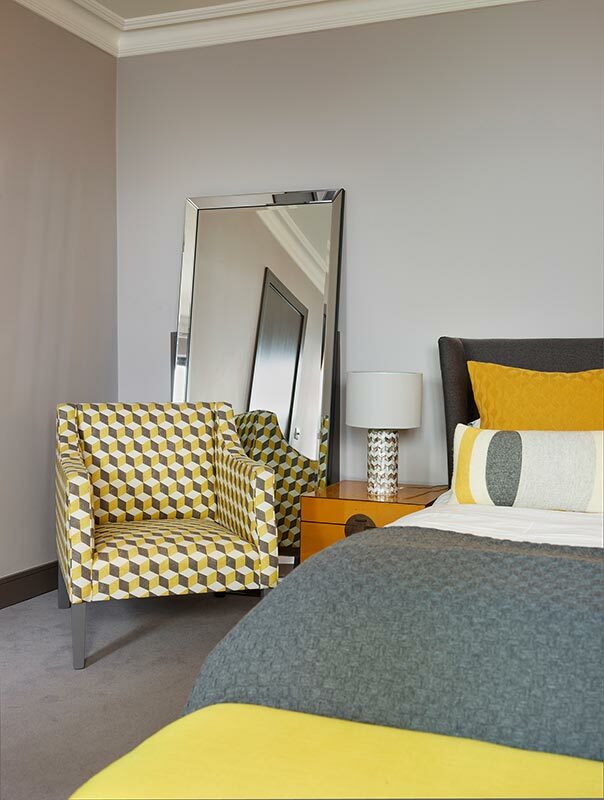 A beautiful grey and yellow bedroom with statement chair, floorstanding mirror, yellow Chinese inspired bedside tables and kingsize bed which we had upholstered in a charcoal fabric. Scatter cushions and lamp complete the look. 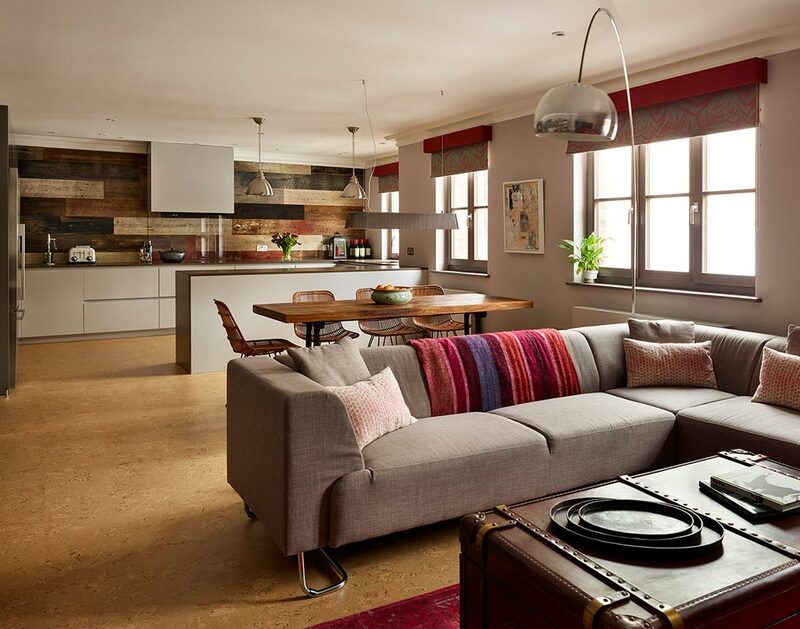 We completely stripped out and redesigned this substantial 4400sq ft property spread across 7 floors with five bedrooms and 3 large reception rooms in the heart of Highgate village. Our clients who have two young boys asked us to transform it into a contemporary home that has warmth and doesn’t feel too contrived or over styled. It has to be practical for the reality of having two young boys but not be kid-centric or dumbed down in terms of design. The new design also has to enable lots of entertaining and guests to stay over. The scope included a full strip out, a complete internal redesign utilising both our space planning and interior design talent, full project management and procurement of all new fixtures and fittings, furniture and decorative accessories. In terms of creative direction, our client expressed that she would like us to mix in some vintage pieces and use an industrial edge in some of the spaces. For the boys, we found out that they’re big supporters of Arsenal and Back to the Future movies, which you’ll see as themes in their bedrooms and games room respectively. Would be delighted to set up a meeting by appointment. 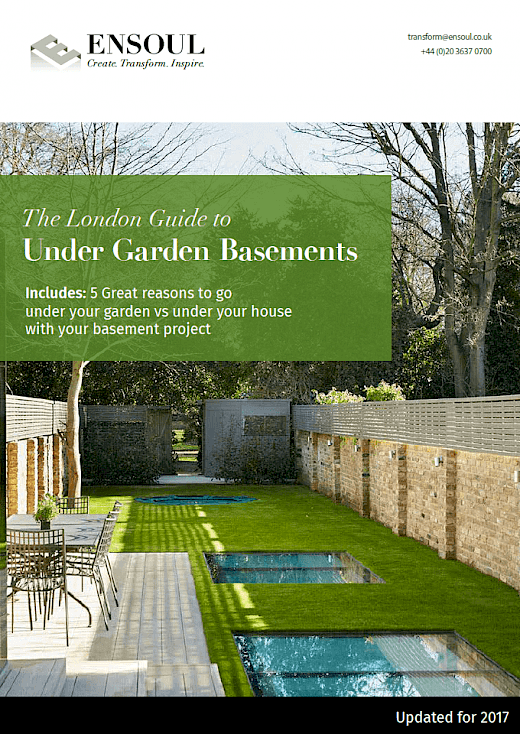 Luxury under garden basement featuring a home bar and integrated bunk beds / club banquette. Glazed lightwell provides lots of light and a fire escape. Interior architecture and design for two 5500sq ft family homes, newly built on an exclusive private road in Reigate, by Brookworth Homes. This property now boasts an additional 1500sq ft with a new under garden basement, rear extension and garage conversion. Complete space re-planning & full refurbishment too. Full interior design of an 8000 square feet country home. Included turnkey furnishing and styling with a significant amount of bespoke fixtures and furniture designed by Ensoul. Remodelling and full refurbishment of a 2 bedroom penthouse apartment with outdoor terrace. Interior design for a 4-storey new build townhouse, which our client bought as a blank canvas from a developer. Full strip out, space remodel and turnkey refurbishment of an apartment. 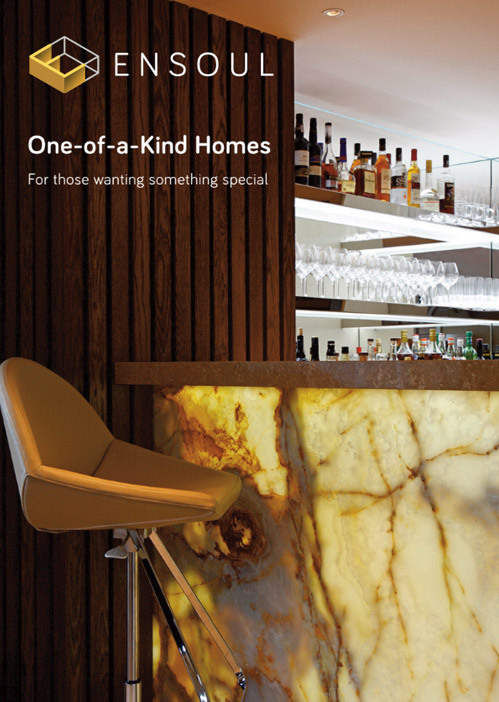 Included all fixtures, fittings, furniture, lighting, soft furnishings and styling. A complete transformation from 4 bedsits into a sleek, fully extended contemporary home. Included side return, rear extension, loft conversion & full refurbishment.